First of all, let's have a look at the top ten highest-paid actors in Hollywood. George Clooney was top of the list. He is estimated to be worth a staggering £180m ($239m). 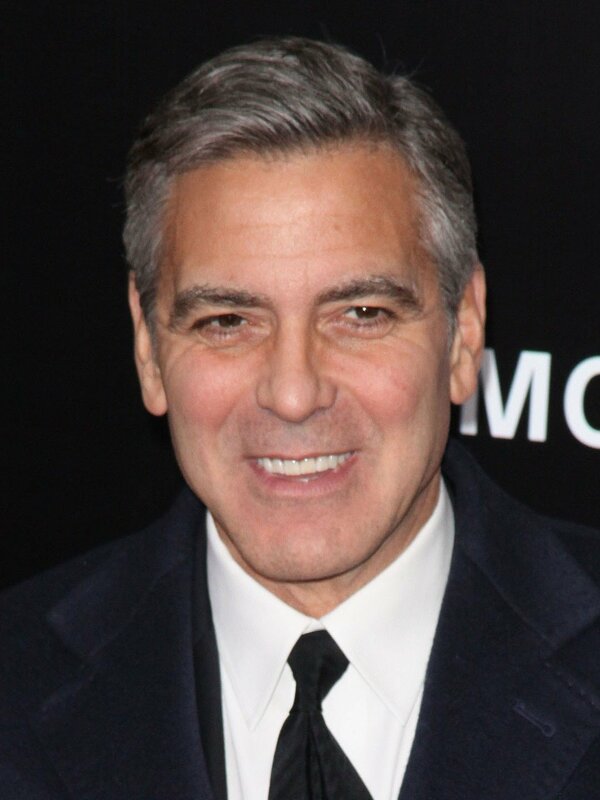 George Clooney is well known for his roles in The Descendants, Batman vs Robin and Ocean's Eleven. Next on the list is Dwayne Johnson, estimated to be worth around $119 million. The old wrestler, who starred in WWE known as "The Rock", now appears in plenty of Hollywood films. He is well known for starring in the Fast and Furious franchise. Dwayne Johnson has doubled his worth, since the 2017 rich list. The most prominent reason for this is his more recent Hollywood appearances in films such as Jumanji, Skyscraper, Baywatch and Fast and Furious 8. Third on the list is Robert Downey Jr., who is known for starring in lots of Marvel films, playing the role of Iron Man. Robert Downey Jr. is estimated to be worth around $79 million. In fourth place, we have Chris Hemsworth, who is estimated to be worth $64.5 million. Chris is mainly known for his roles in Marvel films, more commonly as Thor and his appearances in The Avengers films. He is also known for his roles in Star Trek. Further down the list, in the fifth spot, Jackie Chan who is estimated to be worth $45.5 million. Jackie Chan is known for his role in the Karate Kid and Rush Hour. In sixth place is Will Smith who is estimated to be worth $42 million. He is known for his roles in Suicide Squad and The Fresh Prince of Bel Air. In seventh place, we have Akshay Kumar. Akshay is known for featuring in films such as Gold, Rustom, and Rowdy Rathore. Akshay is estimated to be worth around $40 million. In a close eighth place, is Adam Sandler. Adam is known for featuring in multiple movies such as Grown Ups, Big Daddy, and The Waterboy. Adam Sandler is worth around $39.5 million. In ninth place, is Chris Evans. Like two others on this list are known for starring in Marvel films. Chris is more commonly known for his role Captain America in the Captain America franchise of films and has starred as Captain America in the Avengers movies. Last on the list, in tenth place, is Salman Khan. Salman is known for his roles in Sultan, Race 3 and Wanted. Next, let's have a look at the top 10 highest-paid actresses in Hollywood. The highest-paid actress in Hollywood is Scarlett Johansson. Scarlett is known for her roles in Marvel films. She is mainly known for playing the character Black Widow and has appeared in Avengers films, including the new Infinity War. Scarlett is worth around $40.5 million. In second place is Angelina Jolie, who is worth around $28 million. She is known for her role in Maleficent. In third place is Jennifer Aniston. She is thought to be worth around $19.5 million. Jennifer is well-known for her role in the TV show Friends. Jennifer is also known for starring in Horrible Bosses and We're The Millers. In fourth place, we have another Jennifer - the one and only Jennifer Lawrence is thought to be worth around $18 million. She is widely known for her role in The Hunger Games. In fifth place, we have Reese Witherspoon who is estimated to be worth $16.5 million. Reese is known for starring in Friends and Legally Blonde. In a close sixth place, is Mila Kunis. Mila is known for her role in Black Swan, Bad Moms, Friends with Benefits, and more recently, The Spy Who Dumped Me. Mila is estimated to be worth around $16.5 million. In seventh place, is Julia Roberts. Julia is estimated to be worth around $13 million. Julia is known for featuring in films Stepmom, Notting Hill and more recently, Wonder. In eighth place is Cate Blanchett. Cate is said to be worth around $12.5 million. She is known for her role in Thor: Ragnarok and Cinderella. In ninth place, Melissa McCarthy. Melissa is thought to be worth $12 million. She is known for being in films such as Spy and Ghostbusters. In last place, Gal Gadot is worth around $10 million. Gal is known to star in plenty of DC Films. The DC films she has starred in include Wonder Woman, Justice League and Batman vs Superman. Clearly, there is a high demand for these actors. There is also a massive pay gap between George Clooney and Scarlett Johansson. Do you think they deserve this money, or do you believe they are overpaid?